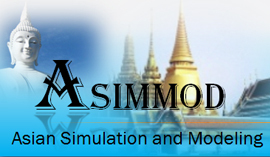 It is our great pleasure to announce this call for paper for the third Asian Simulation and Modeling (ASIMMOD) conference in January 22-23, 2009. 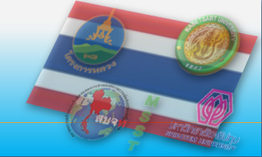 This event is a continuation of the two previous successful conferences meeting hosted by Asian Institute of Technology (AIT) in 2005 and Chiang-Mai University (CMU) in 2007. 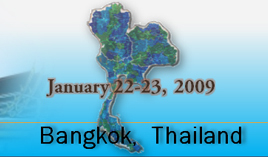 In this coming year 2009, Kasetsart University will be hosting this event. The conference venue will be at Miracle Grand Convention Hotel in Bangkok, Thailand. At this moment, we would like to invite researchers, professors and others to be a part of this event by firstly submitting your work abstract/full papers for presentation consideration. All works will be reviewed by our technical committee and the final version of all refereed manuscripts will be published in the conference proceedings in both forms of hardcopy and CD-ROM. Environment and Sustainability Issues , Etc. For those who have submitted the abstracts, please submit the full manuscript files according to the above templates format by october 15, 2008. The organizing committee hopes that this event will attract your interest and participation and we are looking forward to seeing you in Bangkok, Thailand.